Hi everyone! 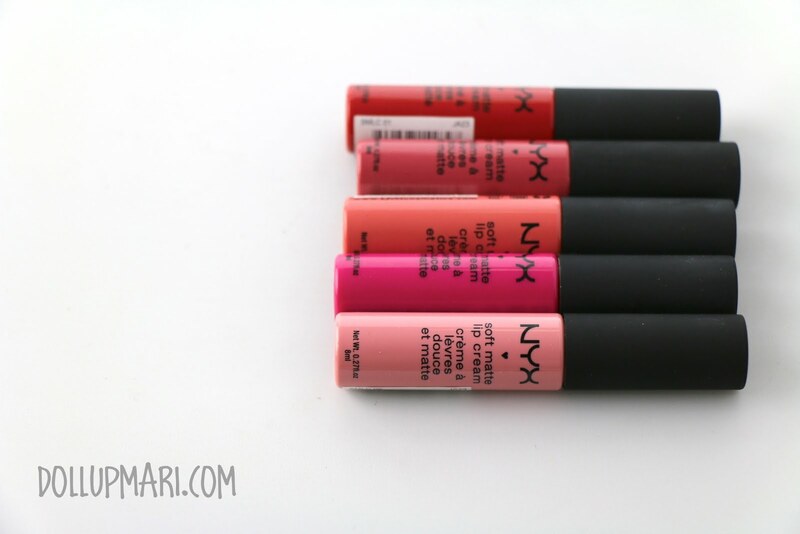 So this is kind of a mini-conclusion to soft matte lip cream week! This is just a mini-conclusion because I'm certain I'll be picking up more shades of this lippie! 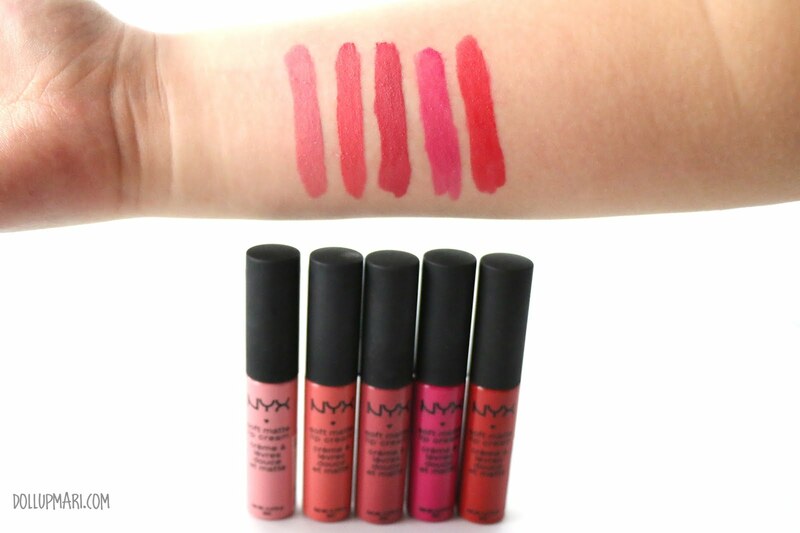 "Neither lipstick nor lip gloss, this matte lip cream is a new kind of lip color that goes on silky smooth and sets to a matte finish. 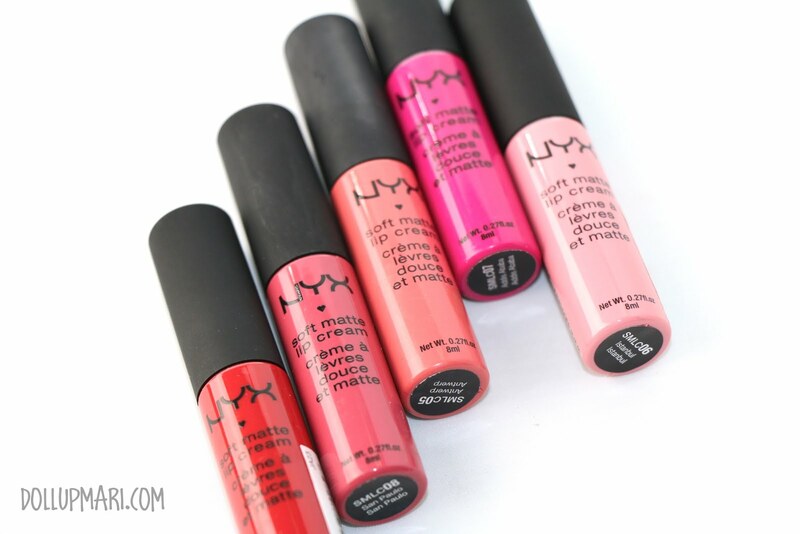 Soft Matte Lip Cream is surprisingly durable and, unlike some matte lipstick formulas, also moisturizing." In my own words, the SMLC is a product that is just phenomenal. It's a super soft and comfortable lip cream that dries into this matte and velvety finish. Even once it's dried, it still feels comfortable. It is everything proof-- water proof, food proof, shock proof, rub proof-- basically it's life proof. What impressed me the most about this product was that this is the best thing to wear and bring to a party. It's small in size, the tube represents the color already, and most importantly, it stays on really well that you can go to a banquet and eat your heart out without having to retouch so soon. This is the kind of lip color I trust for evening affairs. And this is the same photo with the names of the shades included. I currently own five, as you can see, but I do plan to collect more. 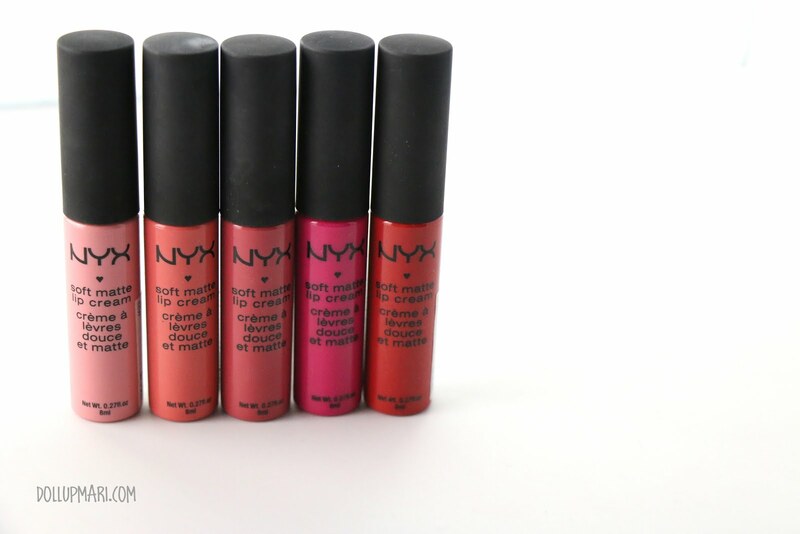 And this is another photo of all the shades I own alongside the tubes and the names. 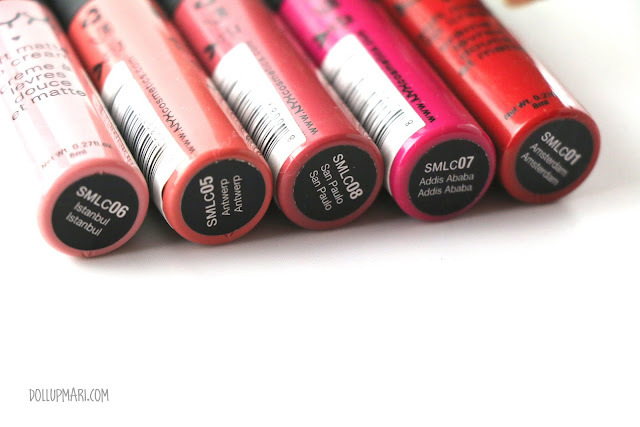 And this is a roundup of the lip creams I own. Antwerp- a coral pink, with more pinkish undertones. San Paulo- brownish red, I called it school principal red if you've read my blog post on this shade alone. Got each one for Php235 from nyxwholesaleph.com :D Some were Php230 because I got them before the price hike. 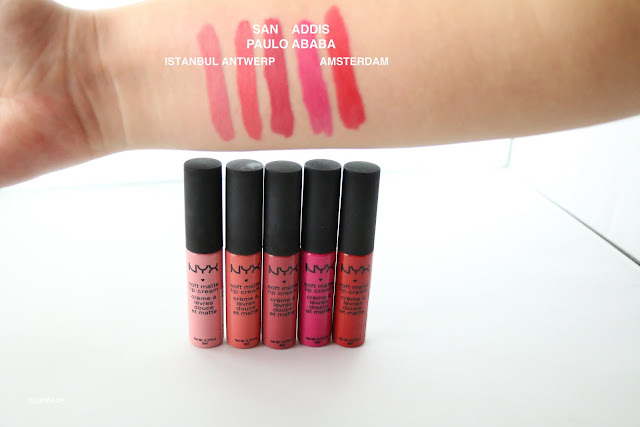 Which NYX SMLC is your favorite? Or which one are you most interested in buying? Please do tell me in the comments box!